How old do you have to be to get Fibromyalgia? Can Injury or Trauma Cause Fibromyalgia? F﻿﻿﻿﻿ibromyalgia is a painful condition which causes chronic muscle pain, fatigue and sleep disorders. I﻿﻿﻿﻿t i﻿s ﻿﻿﻿estimated that more than six million Americans have fibromyalgia, but it remains a poorly understood diagnosis.The biggest issue in identifying the fibromyalgia is that the pain people feel in fibromyalgia are different than the pain caused by injury or trauma in the hurting area. A survey of 3,000 people with fibromyalgia found that nearly half had consulted between three and six healthcare providers before obtaining the diagnosis. Many doctors insist that fibromyalgia is not real and many claim that fibromyalgia is a response to stress, depression, economic and social anxiety. This lack of understanding causes many patients not getting properly treated which further aggravates their pain and frustration. People with fibromyalgia often see many doctors and do blood works and lab tests before they are diagnosed with fibromyalgia. People with fibromyalgia often have tenderness in certain areas of the body. There are 18 tender points through out the left and right side of the body. 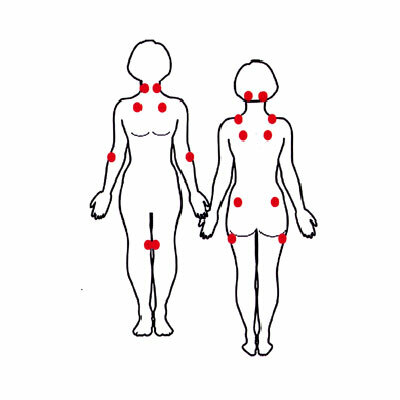 These tender points are also known as trigger points. These are hypersensitive points and a slight tough or pressure can cause the pain. The main reason is that the fibromyalgia symptoms often overlap with other pain and fatigue syndromes which cause doctors to rule out those causes first before they can be ascertained of fibromyalgia. It is important to note that a lab test can not find fibromyalgia.People suffering from fibromyalgia feel that they have the flu all the time, with deep muscle pain, achiness, and fatigue. Also, they are more sensitive to physical pain as much as that a light tap on their muscle cause them extreme pain. Beside physical pain, fibromyalgia patients have a sleep disorder, massive mood swings, and sometimes depression and anxiety. Overlapping conditions such as irritable bowel syndrome, migraine headaches, and super sensitivity to external stimuli (loud noise, stress, bright lights) also appears to arise from a phenomenon known as central sensitivity. People suffering from fibromyalgia not only deal with pain and fatigues but also typically struggle to keep up at work and their daily life is severely affected. The diagnosis of fibromyalgia is difficult because it is hard to explain the specifics about the pain or fatigue. People with fibromyalgia often complain of being physically tires, mentally exhausted or unable to stay awake. Symptoms like these are often mistakenly associated with the lack of proper sleep, hormonal imbalance, or caused by daily chores. Therefore, it is important to tell your physicians the specific details of the problem which could help your doctor to understand the extent of your physical and mental exhaustion and pain. It could take some time to diagnose the fibromyalgia accurately. It is often helpful to have an open discussion about your symptoms with your family members so they can support you when you are feeling uncomfortable. Many fibromyalgia patients have aching muscle, numbness and tingling on their hands, and feet. There is no one set of fibromyalgia diagnosis test. In order to determine if you have fibromyalgia, your doctor will prescribe multiple blood tests and X-ray to rule out the illness behind the common symptoms. Some of the common test include blood work to determine if you have any rheumatic disease, psychological evaluation for depression and anxiety, test for neurological disorder for numbness and tingling. Generally, if you really have a fibromyalgia then all the results will come negative. Fibromyalgia has unique characteristic and is often characterized by additional pain when firm pressure is applied to specific areas of your body, which are also called tender points. There are total 18 points identified in the left and right side of the body. At least, 11 out of 18 spots will cause a pain if pressed there. However, these numbers can vary depending on the individual and can also change by days. The red circle area in the below image identify the tender points. No other underlying condition can be identified which might be causing the symptoms. Fibromyalgia can happen to anyone regardless of gender, age, or ethnicity. It is estimated that in North America one in 50 has fibromyalgia. This is unevenly distributed across the population.However, 80 to 90 percent of the patients identified with the fibromyalgia are women. Fibromyalgia is extremely uncommon in children and rarely appears for the first time in older person. The use of advance medical technology, such as functional magnetic resonance image (fMRI) scanning, on fibromyalgia patients, have identified the hidden abnormalities inside the brain. It is understood that there is a strong association between fibromyalgia and other conditions such as whiplash, post-lyme syndrome, and systemic lupus erythematosus. These discoveries are a tremendous achievement of medical science as understanding the cause helps to determine a plan of action. There is no particular age to get fibromyalgia, but most of the fibromyalgia patients are in between 20 to 55 years of age. Survey conducted on fibromyalgia patients have shown many patients developing the fibromyalgia symptoms in their 30s and 40s. 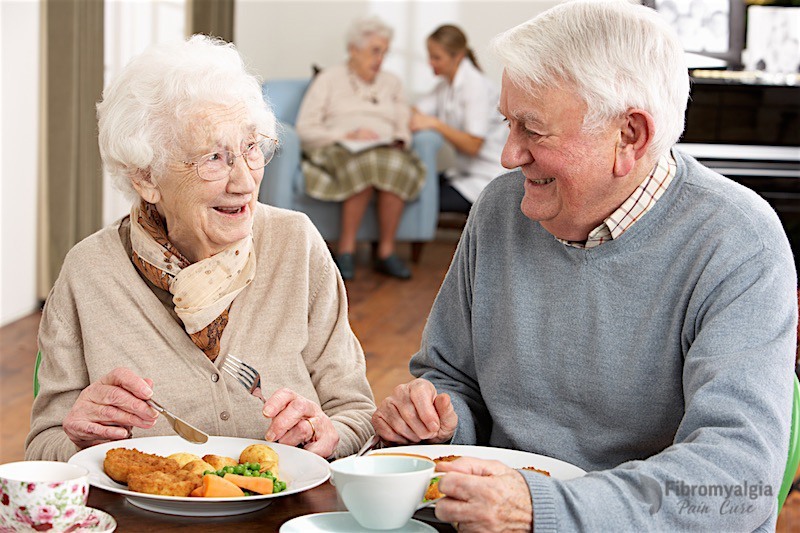 It is found that 60% of cases are diagnosed with people between the age of 30 and 49, another 35% of patients are in their 20s or between the age of 50 and 65. A researched conducted in 1980 suggested that fibromyalgia patients have an increased prevalence of a particular gene. However, these results were found to be inaccurate on further studies. As of right now, no particular gene has been identified which causes the fibromyalgia, but individual studies have shown a high prevalence of the syndrome among certain families and the odds of developing fibromyalgia is greater in immediate families of people with fibromyalgia. Research has indicated that fibromyalgia is caused by the malfunction of the stress and pain response system of the body. Patients suffering from fibromyalgia have chronic over activation of stress responses in the brain which starts a chain reaction, and it leads to poor sleep, muscle pain, and fatigue. Fibromyalgia is blamed for being the cause of anxiety, depression and pain, as if these things actually caused the pain. However, these things do not cause fibromyalgia but are the symptoms of the problem with the central nervous system. The cause of fibromyalgia is the problem with the central nervous system which misrepresents the signals body produces and often send false signals to the brain. Secondary Fibromyalgia: It has similar symptoms of primary fibromyalgia, but it creates depression which can often be treated with anti-depressant or psychotherapy. When a body is induced to the unexpected stress such as accident, injury or psychological abuse, the brain produces a chemical which puts the body in fight or flight mode. Fight-or-flight is the mechanism of survival and is in entirely spontaneous brain activity.In a brain, there is an area called hypothalamus which directs the stress response. When the brain detects danger, it sends the signal to adrenal glands which produce the adrenaline and gives the body the burst of energy to handle the unexpected situation.It is important for the hypothalamus to stop the release of adrenaline when the stress factors are removed. The hypothalamus also controls the essential body functions such as blood pressure, heart rate, breathing, digestion, and urination. These functions are called autonomic nervous system. Unlike Arthritis or other major ailments the Fibromyalgia does not damage your joints, muscles, or tissues and it is not life threatening. During the absence of stress factors, the body remains in rest-and-digest mode but when the stress factors are sensed by the brain than body quickly switch from rest-and-digest mode to fight-or-flight mode. People suffering from fibromyalgia have their stress response system stuck in the fight-or-flight mode because the brain (actually hypothalamus) is continually sending signals of imminent danger to the body. It is like a malfunctioning smoke alarm that beeps even though there is no smoke.The over activated fight-or-flight response overwhelms the central nervous system that it becomes less able to respond to real stressors. This phenomenon is also known as adrenal fatigue where the slightest amount of stress leaves a person feeling overwhelmed and causes difficult time dealing with physical or emotional stress. That is one of the reasons that individuals with fibromyalgia often experience a lack of enthusiasm, disinterest, irritability, mood swings, and anxiety. There has been no direct evidence why the stress response gets stuck in the danger mode in fibromyalgia. Scientific studies have shown that many people after accidents especially Whiplash have reported persistent pain even a long time after the crash. Sometimes the effect of an accident is not immediate, and people can have injury long before they develop fibromyalgia makes it harder for them and their physicians to figure out cause and effect. There are several reasons for it to happen, some of which include a silent and unforeseen injury to the brain and the cervical spinal cord, injury to the neck which can be a source of chronic neck pain, and the emotional impact of the accident or trauma such as anxiety, fear, and anger. Many people after injury either do not see a doctor since the injury or pain is not evident right away or even if they see a doctor and if the doctor does not see any fracture in the X-ray then they send the patient home with little more than prescriptions for rest and a brief course of pain medicine. Motor vehicle accidents lead to fibromyalgia in up to 20 percent of the people. It is important that whiplash injuries need to be treated in a promptly using various physical and medicine therapy such as seeing a chiropractor, doing stretching before the muscle tension sets in, and prescribing muscle relaxants.It takes several days to weeks after initial injury for the myofascial pain to occur. It starts with a muscle spasm that develops after a neck injury which serves to protect the spinal cord. If untreated timely, the persistence of contraction leads to a severe shortening of muscle fibers and development of trigger points or knots within the paracervical muscle groups, also known as myofascial triggers. The best treatment is to have a myofascial release therapy, chiropractic, or physical therapy. It is found that up to 50 percent of people with fibromyalgia complain of chronic headaches, and most of these are common migraines. People with fibromyalgia can get problems arising from daily stress or referred pain due to myofascial trigger points.Many people get confused about a common migraine and the fibromyalgia headaches. Migraine headaches occur from the dilation of blood vessels inside the head, resulting in the compression of other areas. The consistent release of stress hormones causes the overabundance of excitatory amino acids and other chemicals which make a headache worse in fibromyalgia. When the body is stuck is consistent fight-or-flight mode, it has adverse effects on the body, especially regarding sleep. The neurotransmitters in the brain control both sleep and wakefulness by acting on groups of neurons in the brain. Some of these neurotransmitters keep the brain awake, while others tell the brain to go to sleep. Hypothalamus produces the chemical call peptide adenosine to signal the brain to go to sleep. Usually, the longer a person stay awake, the more adenosine is produced in the brain and the stronger the urge to go to sleep becomes. Once a person goes to sleep, the adenosine production level drops and as the degree of adenosine in the brain diminishes the person becomes awake again. Knowing which sleep issue a person is having, doctors prescribe prescription which increases or decreases the production of sleep or wakefulness chemicals to control the sleep quality. There are different stages of sleep which consist of various cycles of brain and body activity throughout the night, and each phase of sleep has a unique function. The deep sleep phase is the most important stage of sleep for the body. In deep sleep mode, the body goes to motionless, and brain activity is at the lowest level. This stage of sleep makes you feel fully rested the next day. During this time of sleep, your body perform all the necessary cell repair functions and getting rid of toxins. People with fibromyalgia, encounter interruption in this deep sleep phase. This causes the sleep to be not restful, and the neurons become depleted in energy and polluted with the by-products of cellular activity. The sleep deprivation creates a problem with the short-term memory, depression, anxiety, poor mood, irritability, and depression. Some of the common sleep disorders include sleep apnea, narcolepsy, and restless leg syndrome. Sleep apnea occurs due to a relaxation of the large muscles at the back of the tongue, causing an obstruction of the airway during the sleep. It can be caused by excess body weight, short or thick neck or alcohol consumption. Many other sleep disorders, such as grinding the teeth and hypersomnia (excessive daytime sleep), can be associated with fibromyalgia. The lack of deep sleep not only leads to fatigue, but it also affects the body’s ability to heal. Much remarkable growth and repair hormones are produced during the deep sleep. Exercise and high protein meals help to trigger the production of these growth and repair hormones. In fibromyalgia, the patients have a small growth hormone release over 24 hour period, and it decreases noticeably during the night. The exercise also produces lower than average growth hormone level in fibromyalgia patients. For people suffering acute insomnia, doctors prescribe sleeping pills for the short term but it is suggested behavioral or lifestyle changes in the long run to have an adequate deep sleep. At present, there is no cure for fibromyalgia. Most of the treatment for fibromyalgia consist of reducing the fibromyalgia symptoms and managing pain and improving on quality of life. A combination of medicine and alternative treatments such as change in lifestyle, reducing stress and dietary changes found to be helpful in controlling the fibromyalgia symptoms. There is also increased awareness about this illness as it was compared to past decade. There are more community support group and therapy available today than it was earlier. It is excellent way to be in touch with other people who have the similar condition as yours and find what is working for them and be assured that you are not alone in this path. Many hospitals and universities are studying more about the fibromyalgia illness and trying to find the underlying the cause and treatment with the use of cutting edge research technology. The number of research publication has increased significantly in past few years which gives a hope that doctors and researcher will be able to find permanent cure in the near future. As of now, there is no permanent cure for fibromyalgia, but the good news is that there are various treatment available which can help you manage the fibromyalgia symptoms. Pain is the biggest issue many fibromyalgia patients face and many people are able to manage pain with over-the-counter pain relieving medicines such as acetaminophen, ibuprofen, and naproxen sodium. Many people in North America know some of the common pain killer brand such as Tylenol, Advil, Asprin which helps to manage the pain. 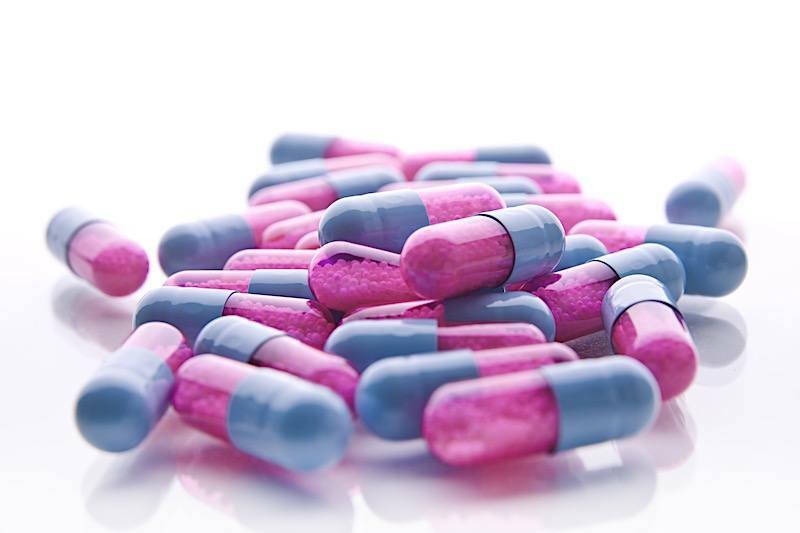 The typical medicine prescribed by the doctors for fibromyalgia patients generally contain both pain relieve, fatigue control, and antidepressant medications. In addition to above medications, many people took multivitamin and mineral supplements such as vitamin B12, vitamin D and magnesium which helped them relieve in muscle pain and control fatigue. Many people have reported benefit through alternative treatments to control the fibromyalgia symptoms. Some of the alternative treatment for fibromyalgia consist of lifestyle change, exercise, yoga and changing diet. Use of herbs such as Turmeric, and cloves contain natural pain killer substance which relieves pain. Alternative treatment such as acupuncture, massage, and use of heat and cold also found to relieve the pain. Drinking ginger tea and doing aromatherapy can help relieve mensural cramp. Putting hot water bottle on abdoment also helps to relieve pain. Do a light regular exercise and combine it with Yoga and stretching can release muscle tenderness. Changing environment and engaging in activities which you like can keep you cheerful and not depressed. Reduce alcohol and coffee intake. Do some light exercise and avoid daytime nap. Identify stress triggers which could be personal or work related and avoid it. Cut down on sugar intake and avoid high cholesterol fatty food. Eat fruits and vegetables and drink lots of water to avoid fatigue. Fibromyalgia can not be detected by simply doing blood work or through X-ray, the fibromyalgia symptoms can overlap with other medical condition and it is important to rule out other similar conditions before determining that you truly have fibromyalgia. Fibromyalgia is a painful condition for so many people, and ongoing research has shown that it develops because of ongoing injury to or imbalance inside the central nervous system. Keep in mind, fibromyalgia is not a life threatening condition. It is certainly a painful condition and affects the quality of life. You can control fibromyalgia symptoms through combination of medication and change in the lifestyle. Having a proper understanding of this illness can help you better understand your body and locate the trigger points. No matter how bad fibromyalgia sound, you can overcome through positive outlook and learning to manage your pain.